When an untraceable group of elite bank robbers executes the perfect heist, making off with millions in cash and leaving a dead bank manager in their wake, the FBI agents investigating the robbery/homicide (Christopher Meloni, Dave Bautista, and Adrian Grenier) begin to uncover signs of corruption involving the bank’s owner (Bruce Willis) and his high-power clients. As they dig deeper into the case, the Feds realize that things are not what they seem, and in order to untangle a complicated web of deception and corruption they must push themselves to the brink – where the lines between right and wrong are often blurred. 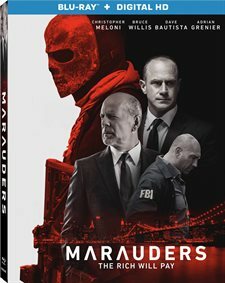 Download Marauders in Digital HD from the iTunes store. 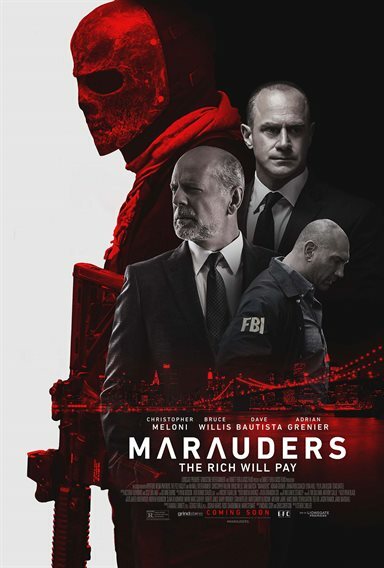 Marauders images are © Lionsgate. All Rights Reserved.